Cycling continues to grow in popularity more and more in recent years. 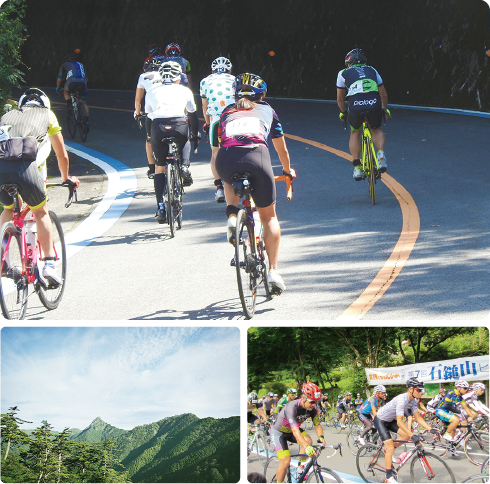 The Ishizuchi Mountain Range offers many places to enjoy cycling’s charms to the fullest extent, for beginners and advanced cyclists alike. 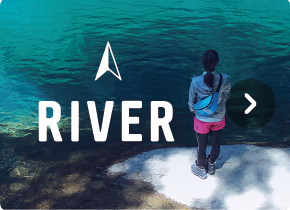 From sightseeing destinations and cruising around at your own pace with gourmet dining options to taking a fast-track dash into the countryside through highlands and villages bordering mountain woodlands… from touring plans with overnight stays to bona fide sport cycling and more. 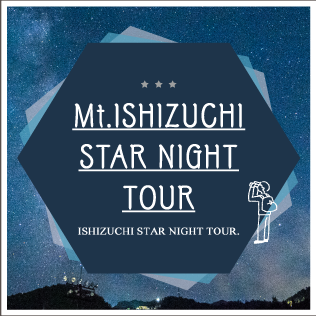 We’d like to introduce the appeal of cycling experiences only possible throughout the Ishizuchi Mountain Range. 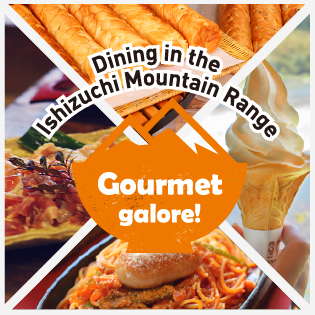 Within the broad region straddling Ehime and Kōchi prefectures are many areas with locations where beginners too can enjoy gradual elevation changes and an array of noteworthy attractions — plus longer or more technical courses to satisfy intermediate to advanced level riders as well. There’s nothing quite like the pleasant sensation of cycling along however the mood strikes you, gazing at the beauty of nature that changes from season to season, or the feeling of accomplishment you get from making it all the way to your destination with your very own strength. As you pedal along with the refreshing breeze in your face, new discoveries and meetings will undoubtedly greet you. 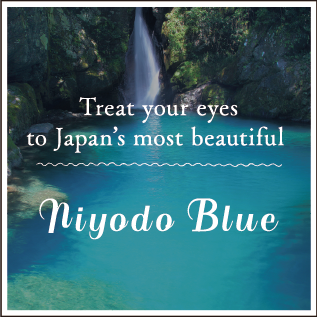 For beginners, we recommend courses that run through laid-back countryside settings with villages bordering mountain woodlands — along the Naoyase and Hatano-kawa rivers in the town of Kumakōgen-chō, for example, or around the Sameura Dam in Ōkawa-mura Village. Beginners may also enjoy a cruise through urban settings in the city of Saijō-shi, while sampling local gourmet options at cafés, eateries, farmers markets and so on, taking your bicycle onto public transportation with you if needed. 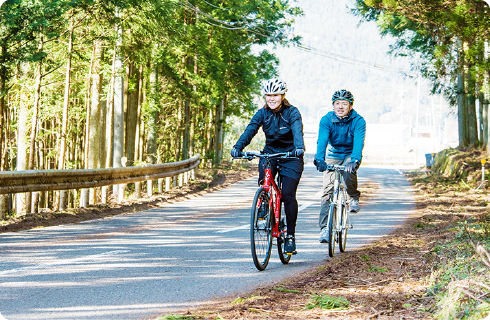 For intermediate cyclists, we recommend the “UFO Line” (a name for the Chōdō Kamegamori-sen route) which runs at an elevation of about 1,300m to 1,700m along a ridgeline that seems to lead up into the sky amidst stunning scenery. Long-distance rides along the Omogo- or Niyodo-gawa rivers will also interest intermediate cyclists. The Ishizuchi Skyline also offers a bona fide hill climb to satisfy advanced cyclists. Cruising around at your own pace, enjoying the ride as you like without the restrictions of a set course… surely this is an activity anyone could enjoy regardless of age or gender. 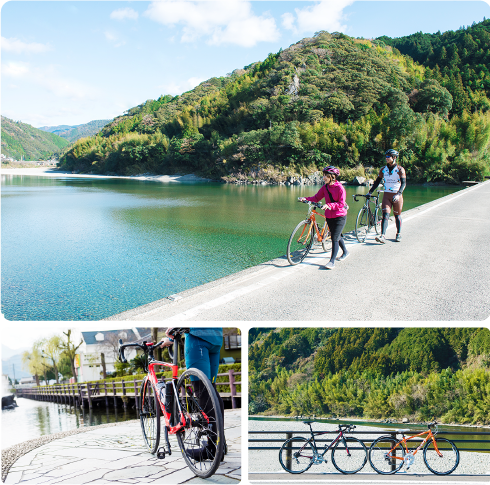 Though the number of bicycles available may be limited, towns like Kumakōgen-chō and Ino-chō do offer hybrid bike rentals, so not owning a bicycle of your own won’t stop you from enjoying the cycling options here. There’s so much ground to cover in the area of the Ishizuchi Mountain Range that knowing which route to take can get confusing. For your reference, let’s take a look at nine exemplary courses, each packed with the kind of information a cyclist needs: elevation change along the course, hill grades, lavatory access, rest spots, noteworthy attractions, good photo locations, local gourmet options and so on. “Hill climb” is the term used to refer to the earnest ascent of an uphill roadway, typically on a road bike. 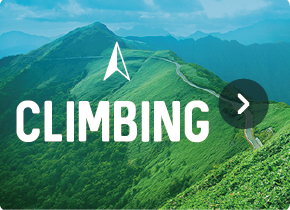 A “hill climb race” is a timed race on a course that involves climbing a hillside or mountain. Hill climbs enjoy a particular level of popularity among cycle sports, with race events being held throughout Japan. Nothing quite compares to the feeling of accomplishment and fulfillment you get when you’ve made it to the end of a long, grueling road ascent. Many people give hill climbs a shot hoping to get a taste of that inspiring feeling once again. 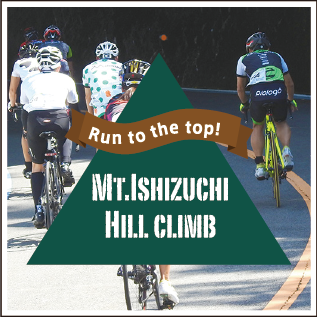 The Mount Ishizuchi Hill Climb course runs from Omogofurusatono-eki Station to Tsuchigoya, made up of two ascents: the first 11.0 km and the second 7.4 km, with a downhill section in between. It is unique in that the two ascents are timed and totaled together for the basis of the competition while the downhill section that connects them is not. The timed sections have a combined elevation change of 1,100m and an average grade of 6.0%. With a total length of 44.2 km, it’s a challenging course. 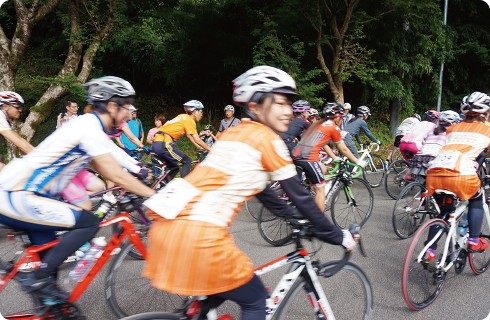 The event is very popular, though, and reaches capacity soon after opening for registration, enjoying the participation of cyclists from Japan and overseas both.